Magical retreat nestled on the slopes of Hualalai with sweeping views of the Pacific Ocean. 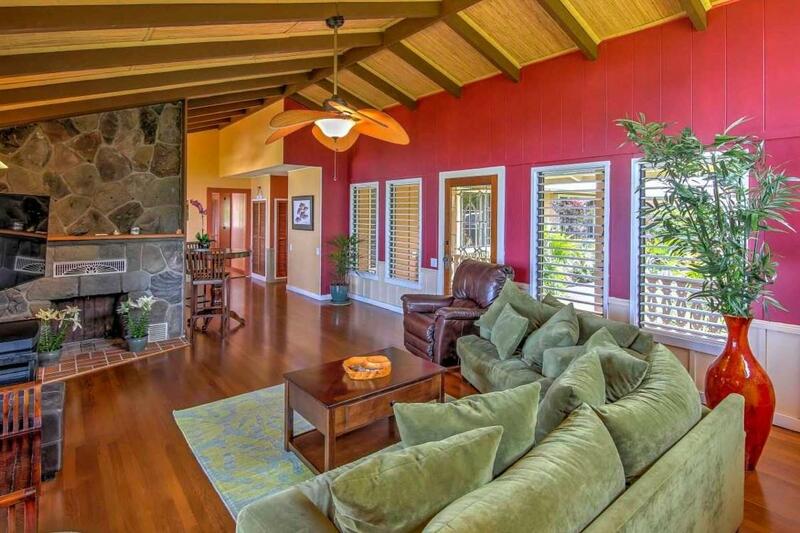 This one of a kind Holualoa property is a rare find in the Kona Coffee Belt at approximately 1300 feet of elevation. Sold turnkey furnished this special place has a main home plus 2 separate living areas and a pool with large deck made from Brazilian Ipe wood. The main home is 1628 sqft with a beautifully updated kitchen consisting of gorgeous Van Gogh granite countertops, mahogany cabinets, stainless steel appliances, propane Fisher and Paykel Range/Oven and built in wine cooler. Several entrances lead to the expansive deck with pool surrounded by lush tropical landscaping and ocean views to Kailua Bay. Perfect spot for entertaining, relaxing and cooking out with friends and family. A hot tub is located privately off to the side of the pool area. Over 250 coffee trees, mango, bananas, papaya and a Jacaranda tree surround the property. 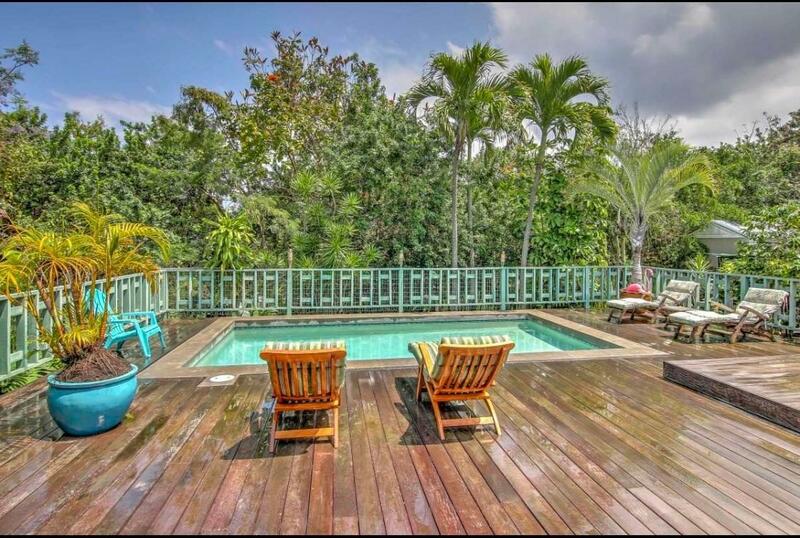 The property is rich in history and was once owned by William Quinn who was appointed by President Dwight D. Eisenhower to be Governor of the Territory of Hawai'i.The separate permitted ohana with its own washer, dryer and electric meter make this a great vacation rental or family compound. 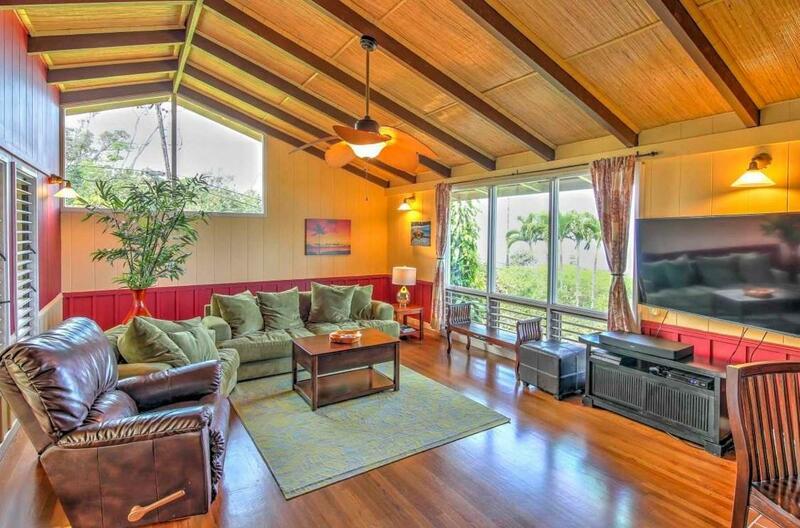 The Ohana is a separate structure nestled towards the back of the property with a lanai and ocean view. The additional 1 bedroom and bath connected to the main house has a kitchenette and separate entrance. 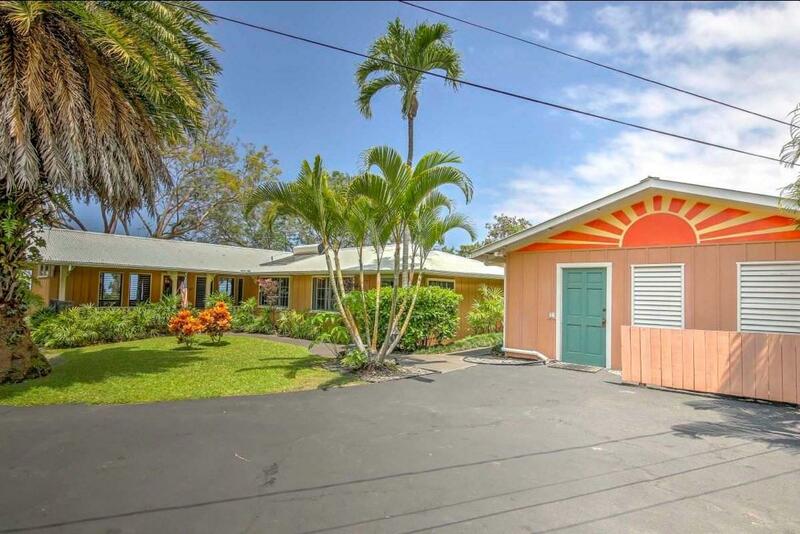 Currently a successful vacation rental but could be ideal for a large family.